Our long-term goal is to understand the transcriptional mechanisms and chromatin plasticity involved in behavioral plasticity. In fact, many cognitive genetic diseases, such as Coffin-Lowry, Rubinstein-Taybi syndrome and ATRX mental retardation syndrome to name a few, are caused by mutations in genes encoding chromatin modifying and transcription factors. The establishment of long-term memory requires changes in gene expression and transcription, a requirement conserved through out the animal kingdom. 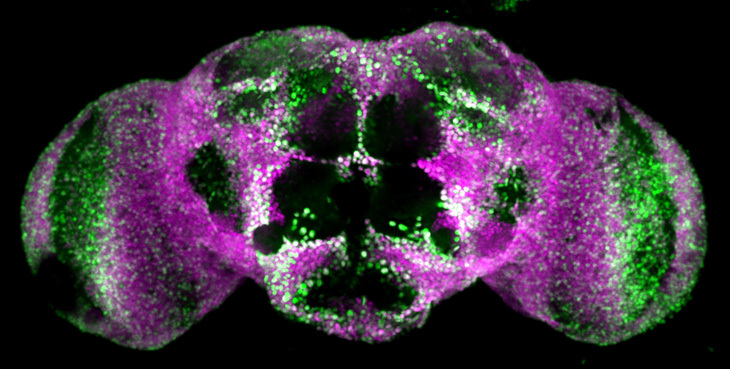 As a model system, we use the powerful genetic model system Drosophila melanogaster in olfactory associative memory. The central nervous system (CNS) is especially adapted to integrate external and internal information to affect animal behavior. Studies of the CNS are confounded by the fact that the CNS integrates information from the entire body via many different cell types and tissues. On top of the cellular network, there is a complex transcriptional network. Because of this highly complex cellular and biochemical network, we have established tissue or cell type specific genome wide methods to monitor changes in gene expression and chromatin structure. These tools complement the other classic tools used to study transcription and chromatin. Results from these studies will shed light on these complicated cell and transcriptional networks to better foundation to understand many inheritable cognitive genetic diseases.